We walked in at about 9:30am and the place was close to full capacity. This was one of those typical Cantonese dim sum places where people would sit for a long time reading newspapers. Buddha Boy and I immediately found this restaurant intriguing when we heard those push-cart ladies yelling whatever their carts offered. People who could not wait would walk up from one end of the room to their desired carts and bring the food back to their tables. LOL...the good old days. 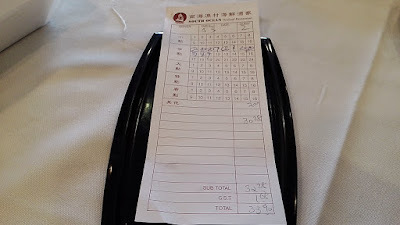 This place was so old school that people would refill their own tea pots, grab their own takeout boxes, bags, napkins, etc. Knowing us, we followed the tradition...hehehe! 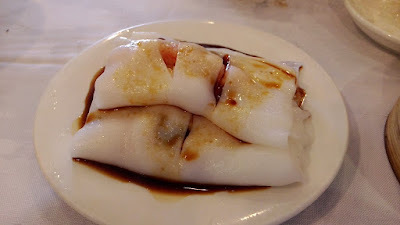 Sorry...I forgot to snap photos of the menu so I'm unsure of the exact names as per their dim sum menu. I will go by the common names of these items. First up, Har-Gow 蝦餃, which was a fail. The dumplings were steamed too long to the point that the wrap had a pasty texture. The shrimp filling was so overcooked that it was rough and chewy. What a disaster. 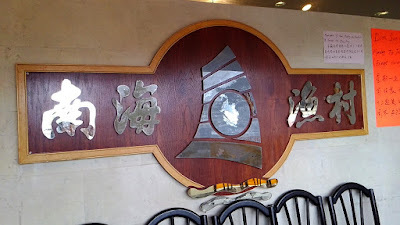 Buddha Boy and I enjoyed the Steamed Spare-Ribs 蒸排骨. The meaty ribs were steamed just right to our preference. The meat kept its tender crunch and was easy to pull off the bones. Black bean taste was minimal, but the ribs were marinated well with simple saltiness. Good portion for the price. 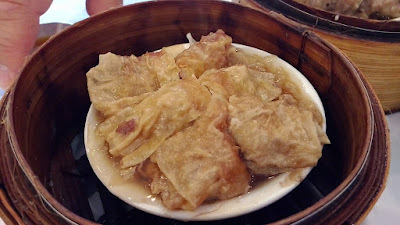 The Steamed Bean Curd Skin Roll 腐皮卷 was our second disappointment. The bland and skimpy filling was quite thin...pretty much every bite had a huge chunk of tofu skin with next-to-none amount of meat. Don't bother with this. 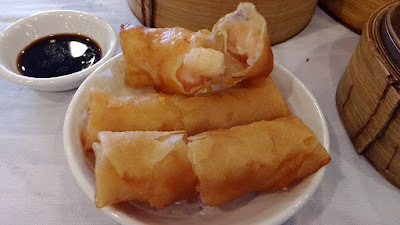 Buddha Boy's all-time-favorite, Shrimp Spring Rolls 蝦春卷, was not so all-time here. The extremely low quality shrimp was a turn off. Visually, we thought the shrimp looked decent, but the texture was mushy. Outer wrap was soft and oily. Not recommended. At this point, we realized anything with shrimp would be disappointing. But we're suckers and we just had to order the Shrimp Rice Roll 鮮蝦腸粉. And yes, you guessed it right...this was another disaster. The rice wrap was coarse and thick. 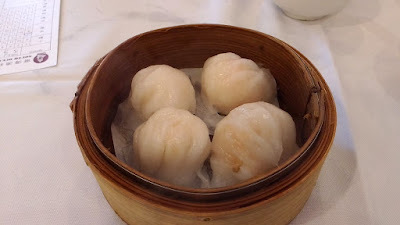 The shrimp had that similar rough and chewy texture as har-gow. Do not waste your money on this, even with its low price point. The BBQ Pork Dinner Bun 叉燒餐包 was another blow. 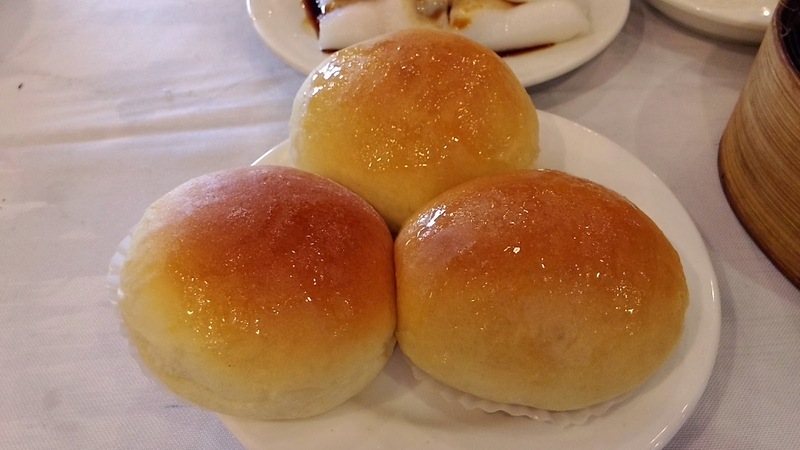 The dry and dense buns were brushed with a layer of discouraging sweetness. The stingy barbecued pork filling was too sweet and overly salty. The meat to bun ratio was not balanced. Money wasted here. 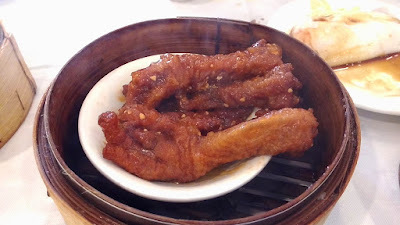 Steamed Chicken Feet 蒸鳳爪 was one of the okay items. To maintain its texture, the claws were fried prior to steaming. The marinate was a bit sweet but bearable. An acceptable common dish. 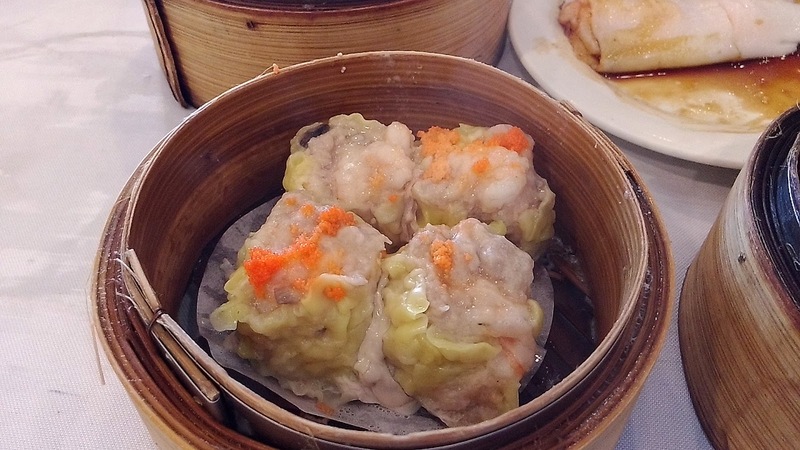 Their Siu-Mai 燒買 was an interesting piece of work. The shrimp to pork ratio has reversed its roles, very unusual. 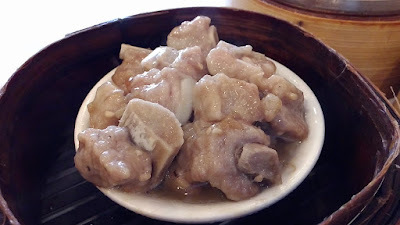 Here, the filling consisted of more shrimp over pork. When that low-quality chunky pork became the sidekick of low quality mushy shrimp, the texture kind of threw us off. While this didn't quite do well with us, it was still way ahead of Western Lake Chinese Seafood 西湖海鮮酒家 (a place we vowed to never return). 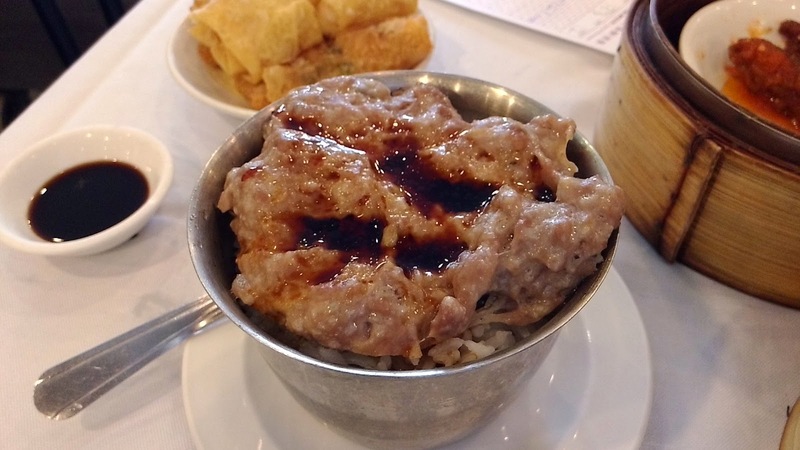 Seeing that the table next to us had a tin-rice (as I called it, since it's the cheaper and smaller version of claypot rice), I was craving for one. Buddha Boy chose the Pork Patty Tin Rice 肉餅煲仔飯. The meat texture was acceptable but the overuse of baking soda was quite apparent. The meat tasted off...we were quite certain that the meat was not fresh and has started to change. 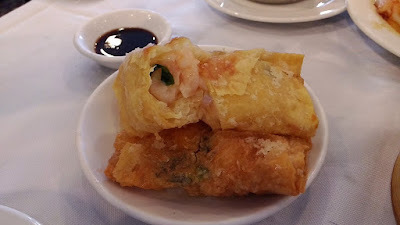 The Deep Fried Bean Curd Skin with Shrimp 鮮蝦腐皮卷 was below par. The outer wrap was soft and oily. The shrimp filling, similar to other shrimp-based items, lacked crunch and texture. Another fail. 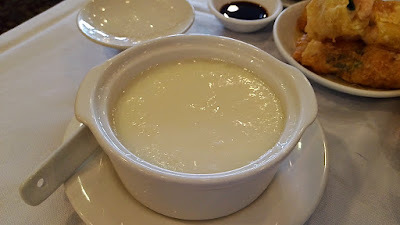 Buddha Boy and I enjoyed the Steamed Milk Custard with Ginger 薑汁燉奶. Even though it had a very faint taste of ginger, the custard was smooth and had just the right amount of sweetness. Service was sparse. 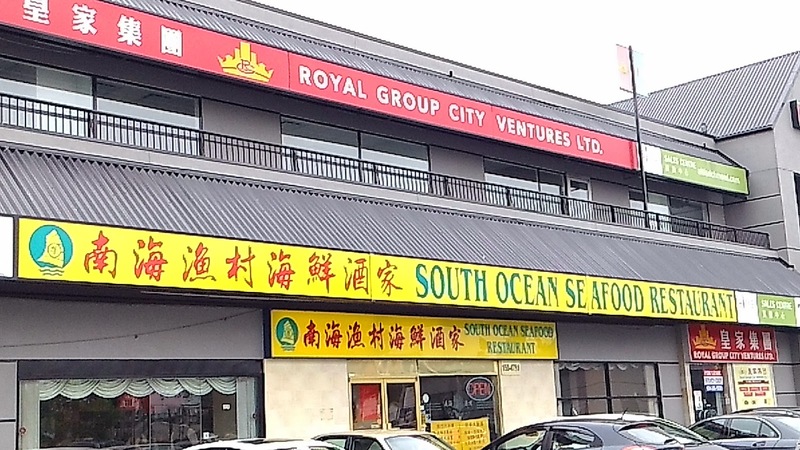 Well, with its low prices, we didn't expect much service anyways. 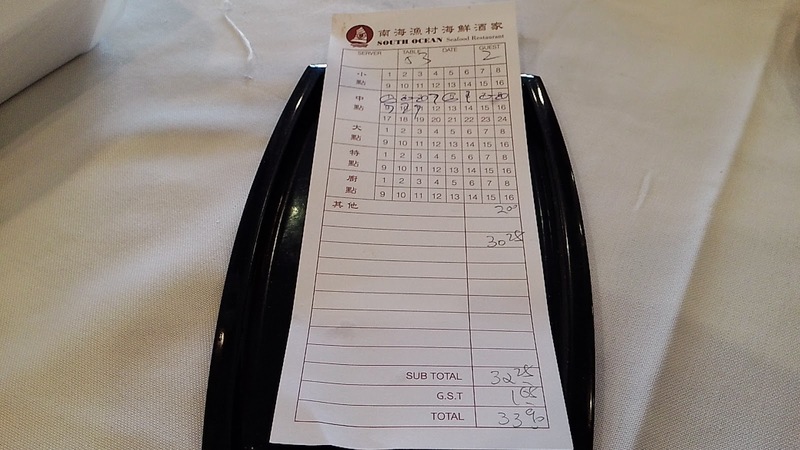 With tax, our bill for eleven dishes came to just below $34. Was it cheap? Yes. Was it worth it? Not really.